When it comes to decorating any room in your house, the ceiling becomes more of an afterthought that you are likely to just leave plain white or paint with another neutral colour. Well as this blog post will suggest there aren’t too many limits on what you can cover with wallpaper, so why not consider the ceiling. We’re not suggesting that you aim to create something as elaborate as the ceiling in the Sistine Chapel, but this provides us with the reasoning behind why decorating your ceiling with wallpaper is an option. 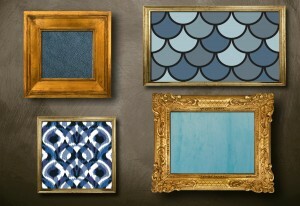 Dependent on the design you choose, this could bring some glamour, charm or opulence to a room. Decorate a room with simple, understated colours and have the ceiling as the feature. We would recommend getting a professional to apply the paper though in this case. Wallpaper doesn’t just have to be used to decorate rooms, have you ever considered using it to jazz up some boring furniture? One great example of this is in your wardrobe or closet. You could choose to decorate the inside which will brighten up any set of boring wardrobes. Or another option is to decorate the outside which means your wardrobe can be more of a feature in your bedroom. You could just cover the panelled areas to accentuate the shapes. We think that this would be an excellent idea to add a fun design to a child’s bedroom. Another fantastic way to incorporate wallpaper into a bedroom is by using it to create a headboard. Firstly you can use it to refresh an old headboard by adding sections or completely covering it in paper. Or as an alternative, actually create an entire headboard using wallpaper. This way you can design your own style and it becomes a really different and pretty addition to any bedroom. We have found a great little tutorial on how to create your own wallpaper headboard, check it out here. Do you agree, shelving is not an exciting feature of any home; it is purely there for its convenience. However, this doesn’t mean that it has to always look boring. Whether it is shelving cabinets, or floating shelves wallpaper can be used to add some vibrancy to them, and again add a feature to any room. Some wallpaper comes in extremely vibrant patterns which you could never imagine putting up in your house, however you can find some really nice patterns on the market now-a-days. 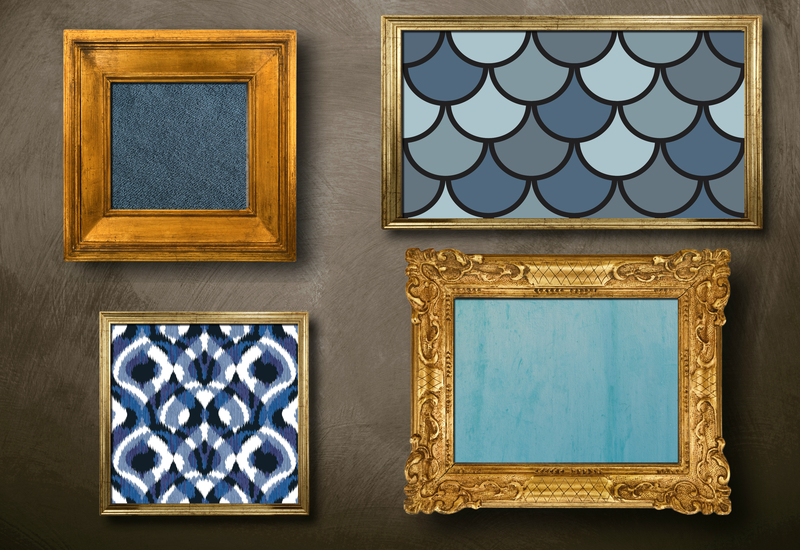 So with that in mind, instead of covering an entire wall why not use small sections of wallpaper to complete a nice photo frame or canvas to create your own artistic display. A great idea would be to choose a selection of different wallpaper designs with a consistent theme such as colour or pattern and use this to create a really funky and unique piece of art. We have already mentioned that wallpaper can be a great addition to a wardrobe or closet but the options are endless when it comes to revamping any furniture. An idea that we have fallen in love with is using the paper to cover the top of any coffee table. Where it is plain wood, painted white or even metal adding wallpaper which fits alongside the interior design of your living room will add a nice touch to your table. All we would recommend is protecting the paper with a glass covering or a few coats of varnish; after all no one wants soggy paper from spilled coffee. Last but not least, the staircase. You may be wondering how to update your staircase with wallpaper, other than putting it on the wall. Well, have you ever considered adding it to the stair risers? We think this is a fantastic and very different idea, and we particularly love some of the examples we have found where the pattern continues and links and it goes further up the staircase, it creates a wonderful effect. We have found a great step by step guide on how to update your staircase with the wallpaper of your choice. Maybe redecorating your house will be part of your New Year resolutions or maybe it’s time to start redecorating your new home. 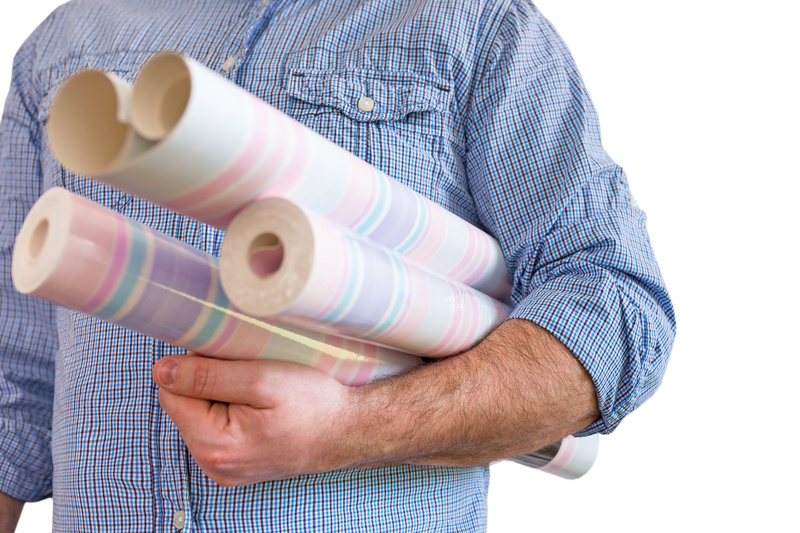 We hope we have given you some ideas to get you started with using wallpaper in some new ways! If you will be looking for a new home in the New Year register interest today to be kept up to date with our upcoming developments.